The CONQUEST HD 8×42 has been designed as a robust companion for twilight and all day use. 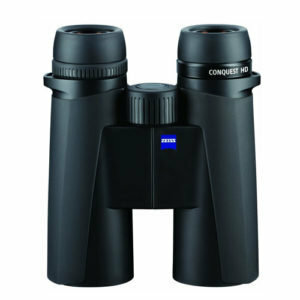 With its 8x magnification it gives a stable image in all situations. The HD-lens system guarantees the best color reproduction for impressive observation. Thanks to the new design it also offers considerable user comfort. The large focusing wheel is always close at hand, so that even at close range (down to 6.5 feet), the smallest details will appear sharp with neutral colour.